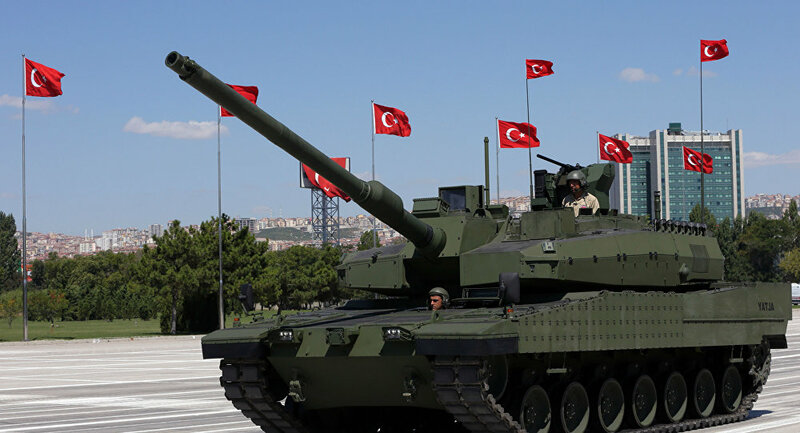 Despite international calls for both countries to tone down militarization, Turkey and Ukraine are now coordinating their efforts to modernize their tank arsenals. Since 2008, Turkey’s largest defense firm, Aselsan, has been perfecting its "Active Protection System," also known as AKKOR. The electronics system allows tanks and armored vehicles to defend themselves against incoming fire, detecting rockets and missiles and shooting them out of the sky. 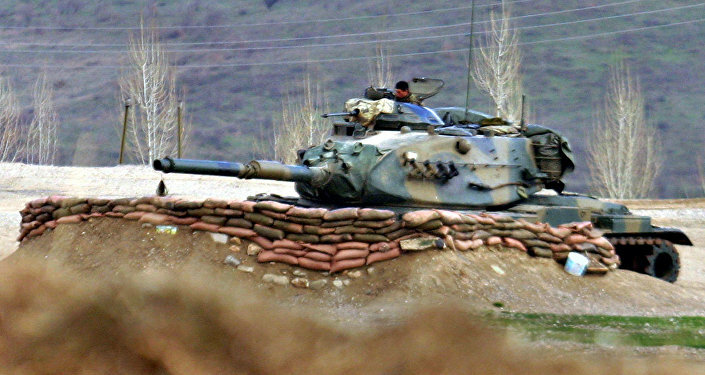 Last month, Aselsan announced it had signed a contract with the Turkish government to begin incorporating those systems into Ankara’s tanks. The improvements will apply to Altay tanks, but can also, in principle, be applied to a number of armored vehicles. But the company will also be teaming up with Ukraine’s Ukroboronprom, according to Defense News. The joint program will allow both nations to make significant upgrades to its respective tank programs. The negotiations between the two defense giants could also eventually lead to artillery and personnel carrier upgrades. The deal comes as both countries face increased scrutiny over aggressive militarism. Last week, Turkey caused outrage among Iraqi officials when it deployed over 100 troops into northern Iraq. Viewing this as a breach of the nation’s sovereignty, Iraqi Prime Minister Haider Abadi issued Ankara a 48 hour deadline to withdraw all troops. Turkey has so far refused to comply with the order. "Today, we held a committee meeting and demanded the government to take all measures necessary to end the presence of Turkish troops in Iraq," Iraqi parliament member Iskander Watut told Sputnik on Tuesday. The United Nations Security Council is expected to hold a closed-door meeting on the matter on Tuesday. Also on Tuesday, Denis Pushilin, envoy of the self-proclaimed Donetsk People’s Republic, claimed that Ukrainian forces are acting in breach of the Minsk agreements. "We have informed the OSCE envoy in the Contact Group on Ukraine that Ukrainian forces have, in essence, captured seven villages located in the 'gray' or 'buffer' zone," Pushilin told reporters. The ceasefire agreement reached in February established an 18-mile buffer zone between Kiev-led forces and residents of Donetsk and Lugansk. "The status quo has been violated, and such actions, if left neglected, could lead to resumption of full-scale military action," Pushilin added. While both Turkey and Ukraine will work to incorporate AKKOR into its arsenal, Defense News points out that the electronics system "may also involve further refining and fine-tuning."